We are based in Ramseur, North Carolina, very close to the geographic center of the state. Residential and commercial service is available within roughly 150 miles from of our office; further by special arrangement. We strive to offer the lowest possible price to both individual and commercial clients alike. Each property and project is different, from logistics to complexity, so it is nearly impossible to offer a one-size fits all price. In general we charge a flat fee covering one or two hours on site, depending in the type of site we are servicing. Some locations may require additional fees for mileage, depending on the distance involved. If you find a professional utility locating service offering better prices for service at a comparable distance, send us a verifiable quote in writing and we will make every effort to meet or beat that price. 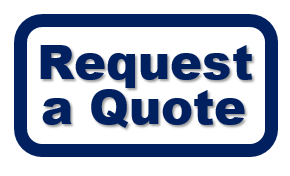 For specific pricing please call 336-391-5542 or request a quote. Piedmont Locating Services reserves the right to adjust our rates and/or terms of service at any time without notice. Commercial clients in good standing may opt to be invoiced upon completion of each service call. We prefer to submit invoices via email whenever possible. All invoices are due upon receipt. Payment is expected within no more than thirty (30) calendar days from the date on each invoice. We reserve the right to refuse credit to anyone for any reason at any time. All individuals – and commercial clients at our discretion – should expect to render payment via cash, credit/debit card, or company check at the time services are delivered. We can no longer accept personal checks. We will happily accept your debit card instead. Piedmont Locating Services is owned and operated by Jay Hubbard. Mr. Hubbard began his career in 1992, and spent much of the next eighteen years gaining daily hands-on experience in the contract utility locating industry, protecting electrical, telecommunication, and pipeline utilities across central North Carolina, and parts of Georgia, South Carolina, and Virginia, working for contract locating companies and civil engineering firms. Prior to entering the utility industry, Mr. Hubbard studied electronics at Forsyth Technical Community College in Winston-Salem, NC, and attended Western Carolina University, majoring in broadcasting and mass communications. Piedmont Locating Services was established November 1, 2010. Yes. We carry general liability and workman’s compensation insurance. Certificates of insurance are available upon written request. We issue hundreds of certificates of insurance every year. Certificate renewals are the holder’s responsibility. If your certificate expires, please request an update. Email works best. Why are residential and commercial clients/sites billed differently? Residential properties typically take less time to complete and entail less overall liability for our company. Residential sites are defined as single family dwellings on two acres or less. Larger estates with extensive infrastructure to be protected may incur higher, commercial fees. Apartments, condominiums, and other multi-family residential settings are considered commercial properties for all billing purposes. Commercial clients also typically require tax and insurance documentation, and expect to be invoiced. This can mean a delay of as much as 90 days or more between service delivery and payment. Help us keep our rates as low as possible; please pay your bill promptly. What methods do you use to locate underground utilities? Piedmont Locating Services utilizes electromagnetic signal tracing to locate most underground facilities. Most facilities that will conduct an electrical signal can be located by this method. We maintain a number of single and multiple frequency locating instruments, and constantly seek new and better technology. Non-conductive materials such as plastic, clay, asbestos, and concrete pipes will not carry an electrical signal, but that doesn’t mean we can’t locate them. A technology known as ground penetrating radar (GPR) usually allows us to find these non-conductive facilities. Soil type, compaction, moisture content, as well as tree roots and excessive rocks beneath the surface can adversely affect the performance of GPR technology. For a more detailed explanation, please read our article, How Utility Locating Works. Do I still need to call 811? YES! You should always call 811 before you dig anywhere in the United States – it’s the law. Anyone who tells you their service can absolve you of this responsibility is putting you and your property at grave risk. The contract utility locating companies serving your local area work for specific utility companies, sometimes several at once, and as such have access to very detailed information about the facilities they are hired to protect. Piedmont Locating Services cannot accept liability for damage to utilities covered by 811 contracts or due to any client’s failure to comply with the law. ALWAYS call 811 before you dig. We receive calls almost every week from people who do not realize that most utilities can be marked for free by simply making a phone call and waiting a few days. 811 locators will enter private property to fulfill their contracts. Telephone, power, CATV and other utility owners whose facilities serve or cross private property are legally obligated to mark those facilities, typically within 72 hours notice, at no charge to the general public. Do not pay an independent locator for services you should receive for free. If most locating services are free, why should I hire a private utility locator? In most cases, once a utility passes through a metering device or other main connection point on your property it is considered privately-owned and its location/protection becomes the property owner’s responsibility. If you are uncertain about whether or not you need to hire a private utility locator please do not hesitate to call us and ask. Our primary concern is your safety. If you don’t need us, we will tell you. Your future business or referral, not to mention our integrity, is far more important to us than generating one more invoice could ever be. How long can I expect locate markings to last? Locate requests made through 811 must be updated every 15 working days to remain legally valid. We go out of our way to find and use the highest quality marking paint available, so our marks should last at least fifteen days if undisturbed. During mowing season, lawn trimming may cause marks to disappear faster than normal, so please consider your mowing schedule when planning for locates. Return visits by Piedmont Locating Services to repaint faded or otherwise destroyed marks will incur additional charges unless follow-up agreements exist between Piedmont Locating Services and individual clients. Piedmont Locating Services (PLS) is committed to providing our customers with the most accurate utility locating service available anywhere. We employ state of the art electromagnetic signal tracing and radar imaging technologies, however, no method of underground utility locating can ever guarantee 100% accuracy or completeness. Many variables, including, but not limited to age and condition of the facilities in question, soil type, and moisture content can adversely affect the ability of our equipment to find and trace utilities, and on rare occasions may even result in errors or omissions beyond our control. Some utilities simply cannot be found by noninvasive means. The most accurate locating instrument in the world is a shovel. The more information you can provide us about your site, the more complete and efficient our work will be. For best results, we recommend that our clients provide us with the following information whenever possible. PLS shall not be held liable for excavation related damage to any utility not shown on prints, maps, plans, as-built drawings or other documents provided, or having no serviceable connection point or visible surface structure within the requested area of investigation, and/or the presence of said utility is not otherwise made evident to us before or during the performance of our work. PLS specializes in locating private utilities not owned or maintained by local electric, telecommunications, gas, water, or sewer operators, and we assume no liability for excavation related damage to any utility owned or maintained by public utility providers (i.e, Duke Energy, AT&T, Time Warner, Piedmont Natural Gas Company, etc.) which are typically be protected by state mandated one-call services (i.e, NC 811, SC PUPS, Miss Utility, ULOCO, etc.). In the course of our work there are times when we must mark facilities owned by public utility providers in order to eliminate them from our search process. Marks placed on public utilities to facilitate this process should never be relied upon in lieu of contacting public utility locators as mandated by state or federal law. Employing Piedmont Locating Services does not fulfill this legal obligation and we assume no liability for any client or property owner’s failure to comply with NC law. Always call 811 before it’s time to dig.